No more goop, gagging, or discomfort. 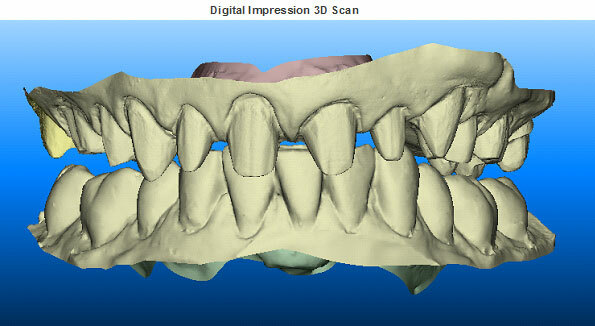 Using an iTero® scanner, we can take a highly accurate digital impression of your teeth and jaw. The new technology completely eliminates the tray and putty impressions, where the experience is comparable to stuffing a big wad of gum in your mouth. The old technique is incredibly unpleasant and frequently results in multiple rounds of impressions that can be rejected, broken, or misplaced. The iTero scanner ensures a more accurate impression from the start, and results in improved treatment and a more comfortable patient experience. 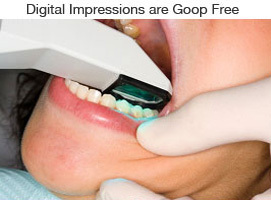 Digital impressions also give you the ability to see your teeth instantly in 3D, which improves communication during the consultation and treatment process. The iTero scanner digitally captures the structure of the teeth and gums using the latest optical technology. The scanner is a compact, hand-held wand. Once we begin the scanning process, it can be stopped and started as many times as necessary. Your mouth is scanned with a radiation-free laser, and in as little as two to three minutes, the laser renders a digitally perfect, 3D impression of your teeth and soft-tissue structures. Through digital software, you’ll then be able to follow the progress of the scans, including a 3D model of your teeth on our computer screen. The iTero scanner can be used for any orthodontic treatment, including Invisalign®. We welcome second opinions! Our Doctors believe information is always helpful. We understand that you are investing a lot of time and money for your lifelong healthy smile. Please gather your information, then come to us for your final opinion. Our consultations are complimentary and there is no obligation to start treatment. All it will cost you is your time!